When you have a dozen or more swords, deciding which one to display can be an almost impossible task. 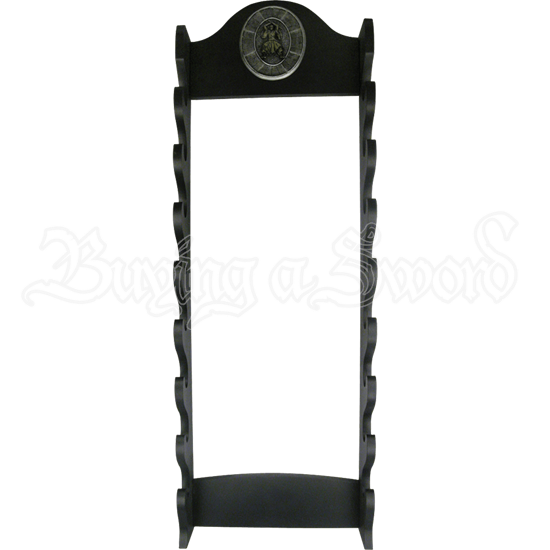 Luckily, you do not have to choose just one of them, because if you have this 8 Tier Wall Mounted Sword Rack with Samurai Plaque, you show off 8 of them! This impressive rack is the perfect accent for sword aficionados and collectors with a passion, as it offers the chance to show off a goodly number of swords with ease, while also featuring a touch of decoration itself. The stand is made entirely from black hardwood and features a black lacquer finish, while it also comes decorated with a pewter-grey plaque decorating the top support. Set within this plaque is a golden-yellow hued samurai figure that stands with his katana raised above his head, as if preparing to strike. 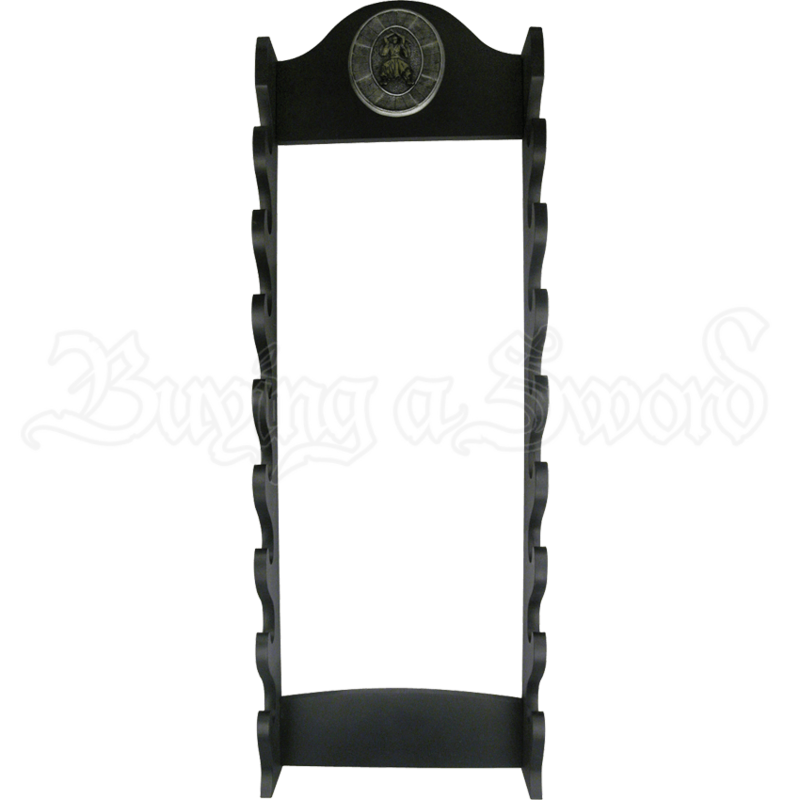 This sword stand features eight individual tiers, each of which is perfect for display a single sword (or a single replica rifle, if you collect those too). Please note that this is not a free-standing display, as it is designed to be set against and bolted to a wall to provide the proper support. Eight swords will make for a rather impressive display to have in your home, and on this 8 Tier Wall Mounted Sword Rack with Samurai Plaque, they will be even more attractive, possessed of an organized and elegant configuration that will awe you, and your guests, time and time again.